Activist, innovator, and regional specialist, Mohamed Ahammam has over 13 years of experience in international development and global management. Currently he serves as the program Manager at for IDAG/United Way Worldwide. He is responsible for working with donors and grantees to facilitate grant making, develop strategies for donor relations, and maintain the financial components for various donor and grant-related projects. Mr. Ahammam is the point of contact for Africa and the Middle East. His passion and commitment to education in the developing world and global philanthropy have guided him through many roles in various international organizations, including U.S. Peace Corps, Search for Common Ground, Helen Keller International Project and Catholic Relief Services. Ahammam holds a BS in Physics from Ibnou Zohr University in Agadir, Morocco, and an MBA from Trinity Washington University. Abdelkhalk Aandam is well known for his management expertise, including U.S. government cooperative agreements. 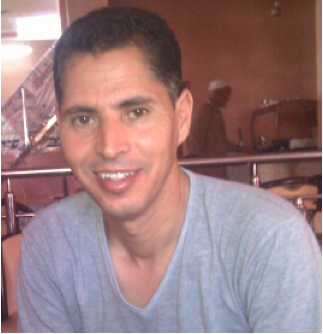 He has been an integral part of Center for Development’s achievements in Morocco. His relationships with community leaders and government officials have had a huge impact on policy and strategies to mobilize communities, support women’s empowerment, and develop local economies. As the project director for all CIFD programs (including USAID and a Middle East Partnership Initiative/MEPI-funded education project), Mr. Aandam oversees a team of 15 and is responsible for financial tracking, reports and deliverables, managing a small grants fund, and monitoring and evaluation. He has engaged 250 associations, building their capacity in work planning, participatory approaches, gender integration, and conflict resolution. Mr. Aandam has 20 years of experience in business management and business development. He also has over 20 years of experience working in public relations development, education and local governance, sustainable development, and the management of natural resources (agriculture and water), environment, education and local governance. Mr. Aandam also has experience in mobilizing public and private partners on the national, regional and local levels, as well as mobilizing civic action for young people and project management experience in Morocco. Starting in 2004, Mr. Aandam spent ten years as a project director of the Near East Foundation in Morocco, managing all programs (including MEPI, USAID, and Geneva Global). He has also worked with Oxfam Québec as a Coordinator for Rural development and water projects in Morocco and with the Near East Foundation as a Program Coordinator (UNICEF, IFAD, laubach literacy, PNUD).